I hope you had a good Christmas with your family. I'm writing to check in with you. I have been doing the Laterality Flashcards, getting three sessions in most days. I will fax you the scoresheet today. I sometimes feel my feet tingling while I look at the pictures, but sometimes I don't feel it. I am trying to sense my own feet while looking at the photos. I would say that my right leg has improved greatly during this time, and I attribute it to the flashcards. Many days I've had very little pain or sensitivity in the right leg. However, my left foot and leg are still quite painful. I would say slightly better than when I saw you, but not much. When I haven't walked much it settles down, but when I walk I feel pain just in the foot for the first few steps, but then shortly after the pain shoots up my leg with each step. I completed a 10-day burst of 400mg Celebrex/day, and am now on the 3rd day of tapering to 300mg/day, with the plan to return to 200mg/day tomorrow. The left foot remains swollen across the area of the metatarsal/phalangeal joints of the second through fifth toes. The swelling is visible on both the plantar and dorsal sides of the foot. Dr Blake's comment: We are trying to use Celebrex to reduce inflammation around the nerves, and trying to see if 400 mg per day is any better than 200 mg. Or whether we should change to another drug. 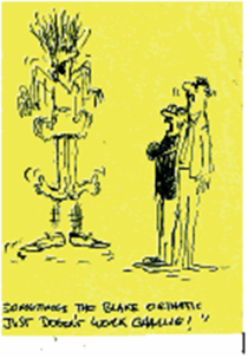 At my last visit, my neurologist suggested a trial of Oxcarbazepine 150mg 2x/day. I am tapering up on that and tomorrow will be at the full dose. He also said it may be time to try a sympathetic block, and I will consult with another doctor about this. I'm wondering if you think it's time to try this. Dr Blake's comment: Yes, these sympathetic blocks can really help, supposedly less effective the longer you wait. Make sure multiple levels are done. When I had one, my injury was at L2/L3, but the sympathetic blocks were also at the sympathetic ganglion above and below (3 levels total). I have also been using a compounded cream of Gabapentin/Ketamine/Ketoprofen/Tetracaine 10%/10%/20%/2% 2-3 times daily. I am also meditating and relaxing often, several 10-30 min sessions daily. Dr Blake's comment: I emailed the patient several music mediations, but still looking for another. I love the water one personally. The mediation must direct healing energy down to the injured area. I have also just started doing a couple sessions of HeartMath, a home biofeedback program, a day. Below is your checklist, sorry it took me a while to fill it out, I'm a bit slower (mentally) taking the meds I'm on. I am, as you would expect, extremely eager to return to good health and normal productivity, so any advice you have would be welcome. In particular I wonder if you believe I should try a sympathetic nerve block, or another ultrasound-guided cortisone injection into the neuroma. My body tends to react to invasive procedures by flaring up, so I am reluctant. On the other hand, we are running out of other options. Regarding another cortisone injection into the neuroma, I do note that the skin over that area is white, and prior to the swelling of the past month, there was a deep depression between the 3rd and 4th tendons, so I thought a third injection was contra-indicated. Now, with the swelling, the sunken area is no longer evident, but there still may be shrinkage of healthy tissue in that area. I do want to be careful not to put too much cortisone. Dr Blake's comment: That is called lipolysis, or temporary thinning of the soft tissue in the area. I would tend to go to the sympathetic block over a local shot, since the problem presently is more than the localized nerve problem. The longer you wait the better, but I would give the foot shot in another place if possible away from the thinning. Thank you so much for looking at my case from this overview perspective. You are the only non-neurologist I've seen who is aware and literate about CRPS, and it's very encouraging to have your support. Dr Blake's comment: Kim, how have the source of pain been identified? MRI, Nerve testing, etc? Dr Blake's comment: Kim, How has the tennis shoes, orthotics, Hapads helped you? Increased walking before pain begins? Lowering of the basic level of pain? I've tried Neuro Eze but it seems to make the local foot pain worse. Is this a necessary phase to go through to get healing benefit? Dr Blake's comment: No, The Neuro Eze is a nerve destabilizer, but must be rubbed in. Like the compounding medications, the local irritation from rubbing the medicine into the sore areas, is worse than any relief you get from the medication. Glad you are going to retry the Lidoderm patches. holistic MD: she's done nutritional/gut analysis, beginning heavy metal testing, ruled out porphyria, noted elevated B6 and deficient vit D Dr Blake's comment: There has been a link with Vit D deficiency and nerve sensitivity. Try to get your Vit D3 to 55 or above. some side-lying exercises to strengthen L gluteus medius Dr Blake's comment: I would definitely increase my cardio, and core workouts making sure that there is no irritation to the sciatica nerve. When you talk to a patient, mention that you need safe cardio and core without irritating the sciatic nerve in the low back. hyperbaric oxygen therapy Dr Blake's comment: I need to check on this for you. Definitely a biofeedback practitioner would be wonderful. Some Pronation when landing and never supination at this time (this is when shoe and orthotic selection can be very important). Good Luck to all the runners out there with a new year of running. Is Your New Year's Goal to Train for a Half or Full Marathon? The following website is full of useful information when you are ready to train for a long distance running event like a Half or Full Marathon. I have just done day one of their 26 week Training Schedule to run the Full Marathon Distance. The sun is setting on another year. Quite unbelievable to me as I do not know where it went. But I love this time of year. I love to reflect on the past year's events, and on where I am going next year. I see my successes and failures, my smiles of happiness and tears of sadness, and search for the meaning of what just happened. I do feel too scattered this last year. Most of my goals for the blog went unfulfilled as I just muddled through. But, I did stay involved. The blog connects me to some subliminal side of medicine that is just wonderful. I feel it is part of me and apart from me. 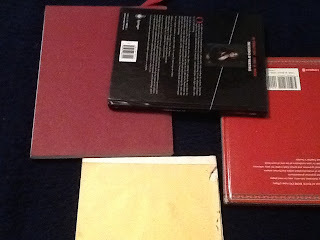 I am teaching through it, and yet being taught by it and my interactions with my readers. I am a better podiatrist, better person, because of it. But how? My wife Pat and I celebrated our 35th Wedding Anniversary in Provence this year and found a beautiful poppy field like the one above. The poppies symbolize natural beauty for me, and I fell in love with them years ago in Monet's paintings. Monet had passion, and simplicity. He surrounded himself with beauty at Giverny which daily inspired him. Caring for others is my passion. Podiatry gives me a tool in which paint with simple strokes. So much of what I want to say in my blog is so simple. Keep It Simple Stupid my mantra. Listen To Your Body my daily saying. Stretch more. Ice more. Power Lace. Our bodies will tell us if we need to be more complex. I thank my readers for a good year. I thank my wife for smiling when she walks past me while I am blogging. I wish I had great plans for the blog in 2013, but life will direct it more than I. I apologize to those I promised things, but failed to produce. I have so little time. 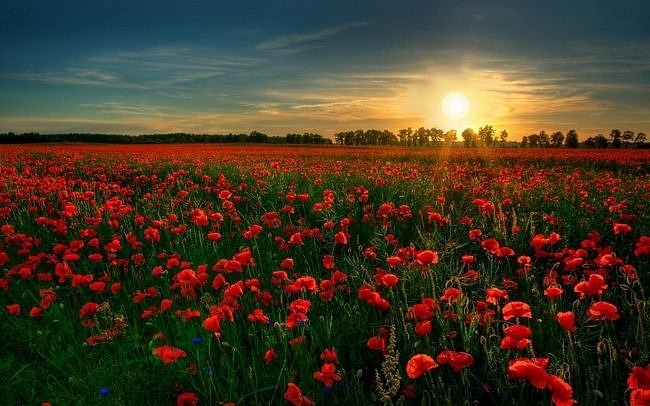 Part of me needs to lay in that poppy field more, to relax more, to be with my family and friends more. Part of me is upset at poor health care I see and sometimes deliver. So I will continue being with this blog that continues to call me to be a better person, a better human being, a better doctor, and I will continue to continue. Free Screenings Under the Affordable Care Act: Please take Advantage!! It is so important to take advantage of all the free services offered through the Affordable Care Act, but please read the fine print on exclusions. The Podiatry Song: What a Kick!!!! When treating nerve pain, physical therapists will use variations of movements to glide or floss the nerves as it runs from your head to your toes. Nerve pain can be from neural tension that develops, and the scar tissue that forms around the nerve. If you are suffering from nerve pain, discuss your individual case with your physical therapist or treating physician and see if neural flossing could be beneficial for you. See the video and article below which introduce neural flossing. 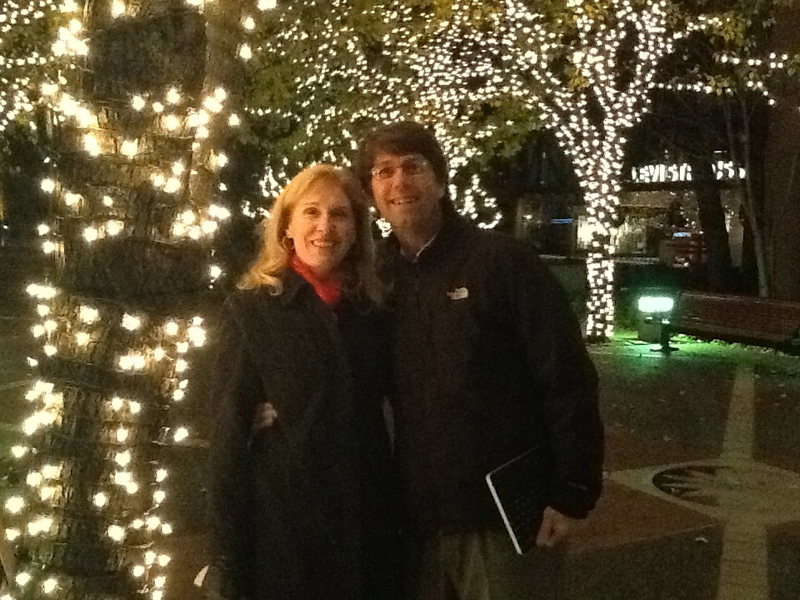 I want to wish all of my readers a wonderful Holiday Season. May the season bring peace, joy, love, and laughter to your lives. May you think only kind thoughts and may the world be gentler in this New Year. May we work together for love of each other and for the healing of the physical, emotional, and spiritual wounds we all have. Hi. I developed bad heel pain on one of my runs 9 weeks ago. I pulled up sore and limping from that run. I had severe difficulty just walking around. I stopped running and managed to see a sports doctor 2 weeks after the onset of pain and had an ultrasound scan - it was diagnosed as retro calcaneal bursitis and I got a cortisone shot under ultrasound guidance into the bursa. The pain decreased significantly after about 2.5 weeks so I tried a little 5 minute pitter-patter but I still felt something was not right in the heel. I went to see the doctor again 2 weeks after the injection for a follow-up and he said to get an MRI done to rule out a calcaneal stress fracture just in case. Unfortunately, the MRI showed that I had a significant high grade calcaneal fracture. The MRI was done 6 weeks after I first developed the pain and I had done absolutely no running during this time (except for 5 minutes to test out the foot after I got the cortisone injection). By the time of the stress-fracture diagnosis (3 weeks ago), I was already walking pain-free, yet the MRI showed that there was a huge crack in my calcaneus! 1. Is it possible that the cortisone shot is masking the pain from the stress fracture? I am getting rather worried because the break in the bone looks very big on the MRI and yet I'm not feeling any significant pain, and I'm afraid that I am unknowingly putting more stress on the bone with my daily activities. 2. Will the cortisone shot significantly delay the healing of the bone? I did receive the injection directly into the bursa under ultrasound guidance but will the cortisone "leak" out of the bursa and affect recovery of the stress fracture? Hey Sarah, thank you for the email.Here are some general guidelines I can give you now based on the information you have given me. First of all, the cortisone shot could only affect the fracture by small amounts getting into the blood stream and giving you some anti-inflammatory effect. It will have no negative impact on the healing of the stress fracture. You probably felt better since you were good to it and the irritation across the fracture line calmed down. I have a tibial sesamoid fracture that was diagnosed about 9 weeks ago. I really have no idea how I fractured it - I had not been running for 10 months because of a back injury, but was very active (elliptical 4-5 days a week with core strengthening and stretching). My best guess was too much flip-flops all summer long. Dr Blake's comment: The pressure created from the elliptical machine on the ball of your foot due to its hard unforgiving surface, especially if you use the arms and go up onto the ball, can create abnormal stress enough to fracture the sesamoids. Dr Blake's comment: Tenderness to palpation and xray evaluation are something to go on, but are not reliable. MRIs are best to follow these things, and without that, how you feel in function is the next best thing. You make sure you are painfree in the removable CAM boot (hope you have your EvenUp for the other side) for 6 weeks before trying to wean out. The doctor and I discussed the use of a bone stimulator to help speed up the healing. He was not convinced that it would help much, but ordered it anyway - insurance won't cover it because it is considered experimental still for just about everything except tibial fractures and wrist fractures. Dr Blake's comment: I love bone stimulators for this pesky injury. It is definitely worth the $500 self pay that patients have to pay here in San Francisco. I am a Physical Therapist, and am really getting tired of not being able to exercise. Any suggestions on what form of exercise would be OK without prolonging the healing process any more. I am still stretching and doing core work, but any form of cardio that I have tried seem to make the foot sore afterwards - which I am trying to avoid. Dr Blake's comment: Since you can do a stationary bike with the arch on the pedal to float the big toe joint, that would be my primary cardio. If you have not done a lot, try 30 minutes twice, and then increase every 3rd time by 5 minutes. Gradually increase the tension. I have tried the taping, but since the foot does not hurt much to begin with, I haven't seen much difference with it on. I have a "gellin" insole in the boot because it was MUCH more comfortable than just the boot. 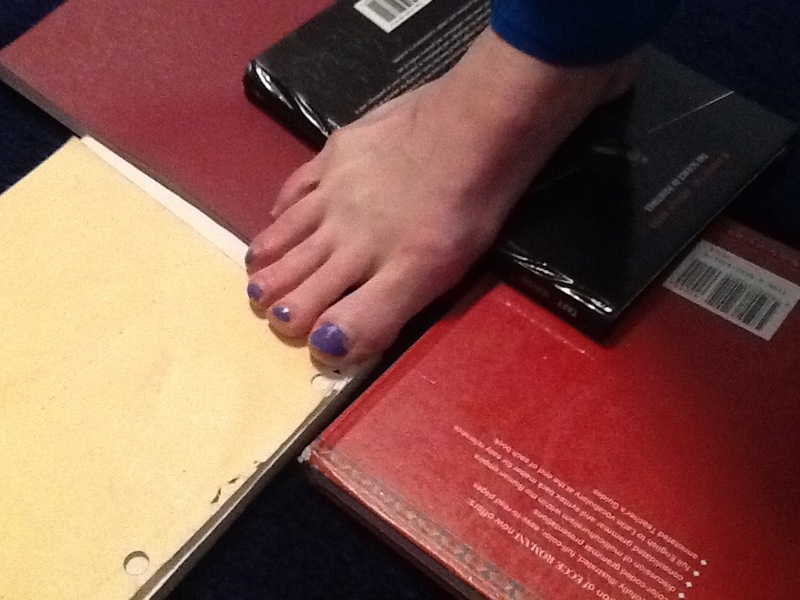 Here the platform is created to float the big toe joint area with books. Here my wife Patty is doing her single leg balancing exercise with no weight on the sesamoid area. After spending the weekend crying for the families in Connecticut, I thought this wonderful email post I received would help. I am so sorry for the actions of that mad man, may we band together as one and offer hope to this world through love and kindness. I thank my friend Aphrodite for sending this to me. Meditation is a crucial part of the treatment of chronic pain. I invite my readers to share any great videos which help in this healing process. Chronic pain has a form of its own. These 2 videos below may help someone in chronic pain gently improve by letting the mind through music heal the body. This is a beautiful video of Reiki meditative music. Let the relaxing music move from your head slowly down your body into your toes. Image that healing spirit, in whatever your religious or spiritual traditions, move through your body. Be at peace. Use this time to love yourself free on other distractions. Be well. This next video allows healing through the gentle waves of the ocean washing away the pain and discomfort. I personally love the shoreline of lakes and oceans. I love the gentle, and sometimes fierce, movement of the water. Imagine the water flowing over you with peace, love, and joy. Feel refreshed. Start away from your injury. If it is your foot, start the meditation at your head, then move to the forehead, then eyebrows, and gradually, ever so gradually, move to your foot. Be in no rush. Feel the water wash away your pain whenever it is. Come back daily to be refreshed and healed once again. Be well. This is an email from a patient I sent 49 flashcards on Laterality for CRPS. The patient describes her initial response well. The first 30 days at three times per day are to be logged and sent to me every 10 days. This dramatically helps with the re-wiring process needed in CRPS (Complex Regional Pain Syndrome). Right Foot or Left Foot?? Looks easy? Not if the Nerves are not sending the right signals back to the brain. I did get the flashcards. My husband wrote the correct answer on the back corner of each one, so if I'm doing it by myself I can check the answer and sort them into 2 piles of correct and incorrect answers, or whoever is working with me can do the same. I also downloaded a metronome app for my iphone, so I or the test giver can time 3 seconds accurately. As I get better we can increase the speed. I got only 35 correct the first time and 37 the second time (we didn't get three sessions in yesterday). I did feel both feet tingling during and after each flash card session, which I take as a good sign that my brain is sorting out the connection to the feet. I will do mirror therapy today as well, and see how that goes. What a strange disorder. I am worried that it's gone on too long and so I will never recover, but I know I shouldn't think that way. Thank you again for your kindness and help. Kim, Thank you for the great feedback. Here is the checklist I need you to fill out and email or fax back to make sure we are on the same page. God's speed with the Re-Wiring!! Rich Go through the checklist and put any thoughts on what you are doing right now to address each area. Some will be confusing. Thanks for all the articles you gave me. I will use them to update myself and my checklist, etc. I found your website two days ago, and it is the very best and informative I have read on the subject of Halllux Rigidus. You have given an invaluable amount of information on the subject. what could be a disaster. I thought your idea of putting orthotics in water shoes, making them special to fit is an excellent idea. The first two are no available, also having trouble finding the 3rd. Dr Blake's comment: Please see my five shoe recommendations listed below. Sorry the other list was quite outdated. All these shoes you can skip the lace near the side of the big toe like the photo to the left. Am I correct in assuming the insole has to be removable in order to put the orthotic in? Dr Blake's comment: Not always, some of the mesh in the toes give enough room on top to enable the orthotic to go on top of the insert. With Hallux Rigidus, there usually is not enough room for both orthotic and insert. Remember a water aerobic orthotic can only be made of plastic!! 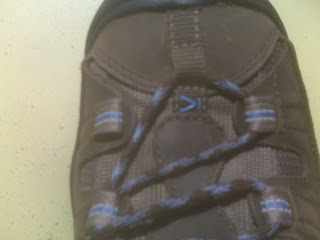 Also, top to joint is swollen, and so water shoe has to be deep enough to accommodate that. Dr Blake's comment: Usually why you have to remove the insert. I tried logging into your site, not even sure I was trying it correctly. I hope it is okay to contact you directly. I hope to hear from you. I really feel terrible with both conditions. I am on Indocin, and waiting for custom orthotics to be ready. Any, and all help will be greatly appreciated. These are a series of images from a patient having surgery on the right os tibial externum AKA os navicularis AKA accessory navicular AKA second ankle bone. Surgery was done to explore the area and fix any problems seen. The patient was 16 at the time of the surgery and started having significant symptoms when she was 13. At the time of the surgery, the physician did not think the accessory navicular needed to be removed, so left it in. The patient is now 18 years old and has not had pain relief. This series of images at least shows what is going on inside the foot. Above the marker on the right is the accessory navicular. If you look at the exact same area on the left side, no such extra bone exists. The statistics I learned was only 30% of the time is this problem bilateral (involving both sides). The posterior tibial tendon, the main support of the arch, attaches into the large navicular bone, and then spreads out throughout the arch. If part of the tendon instead attaches into the accessory navicular, this gives less tendon to support the arch, and the arch can collapse more. This collapse can cause major problems at any age. Current wisdom is to remove that extra bone when the patient is symptomatic, if the symptoms can not be alleviated by a period of constructive conservative treatments including: stabilizing foot orthotics, tape, some periods of immobilization, strengthening, and anti-inflammatory. Here is the same image just alittle higher on the foot. Again, I placed the marker just behind the extra bones which look even less attached and more unstable next to the parent navicular bone. What strikes me in this image is the whiteness of the accessory navicular compared to the other bones. What does this mean? The whiter bone is the more stress it has been taking. If you stress bone, you stimulate the bone forming cells, causing more bone growth. The stronger the bone becomes, the whiter it looks. So why would this accessory navicular be so stressed? 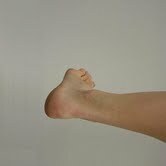 The arrow is in the normal arch of the foot. If the arch is collapsing, the posterior tibial tendon attaching into the accessory bone is working overtime to stabilize the arch. If the strain is too great, symptoms will occur as there will be some breakdown of the normal tissue. This is the exact same part of the accessory navicular as the image above. Again see how white the bone is. Here you can also is the shadow of the large posterior tibial tendon coming from the ankle above, and attaching directly into the os navicularis. Here is one image deeper into the foot with the accessory navicular more irregular and tendon next to it is the tendon to the same toes (flexor digitorum longus). Another image exactly shows that there is a small os navicularis on the left side also. Large accessory navicular seen with separation from the parent bone (navicular). When the tendon pulls on the navicular in a young child, if they have a situation like this, the weakest link in the chain is the junction of the accessory navicular and the navicular itself. It is normally this tissue that gets irritated as the tendon pulls to stabilize the arch only to find an unstable attachment, a weak spot, that will strain very easily. The Arrow points to the accessory navicular and you can see the darker posterior tibial tendon attaching into it. This image shows the arrow pointing to the posterior tibial tendon. You can see it attaching into the os navicularis. The tendon again is being pointed to. The tendon is attaching into the side of the accessory navicular , not where it should. Surgery is designed to remove the extra bone, and using an anchoring system, attach the posterior tibial tendon solidly where it should be attaching (the normal navicular). This arrow also points to the accessory navicular. The chronic pain is causing inflammation into the tendons going up into the ankle. Tendinitis of multiple tendons is predictable due to this chronic situation. Here obvious attachment of the posterior tibial tendon (arrow) shows not only inflammation but attachment into the accessory navicular. Here the arrow points to the posterior tibial tendon attaching and surrounding the accessory navicular. PAD: What the the risk factors? And What is it?